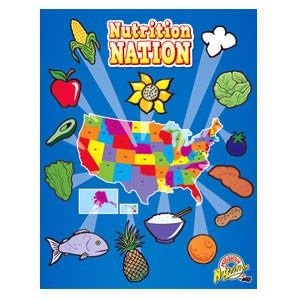 Colorful poster that shows where foods are grown across the country. Great for decorating the cafeteria or hallways leading to the cafeteria. Size: 17" x 22"